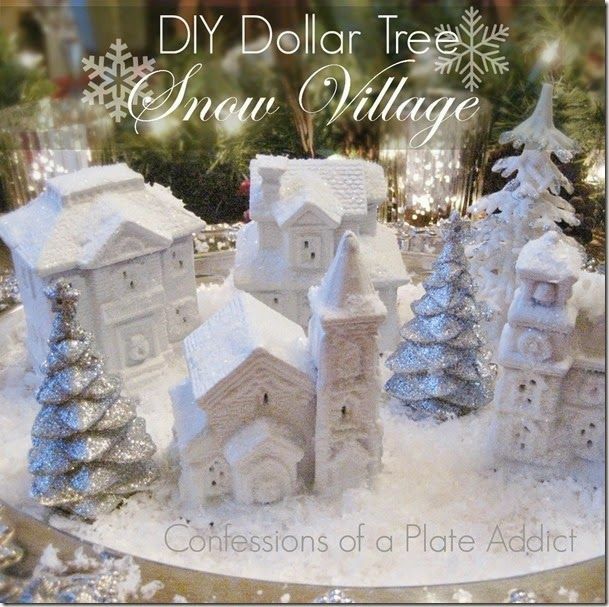 Have you tried making any of your DIY Christmas crafts from items you find at the dollar store? Well have we got some fun projects to share with you! 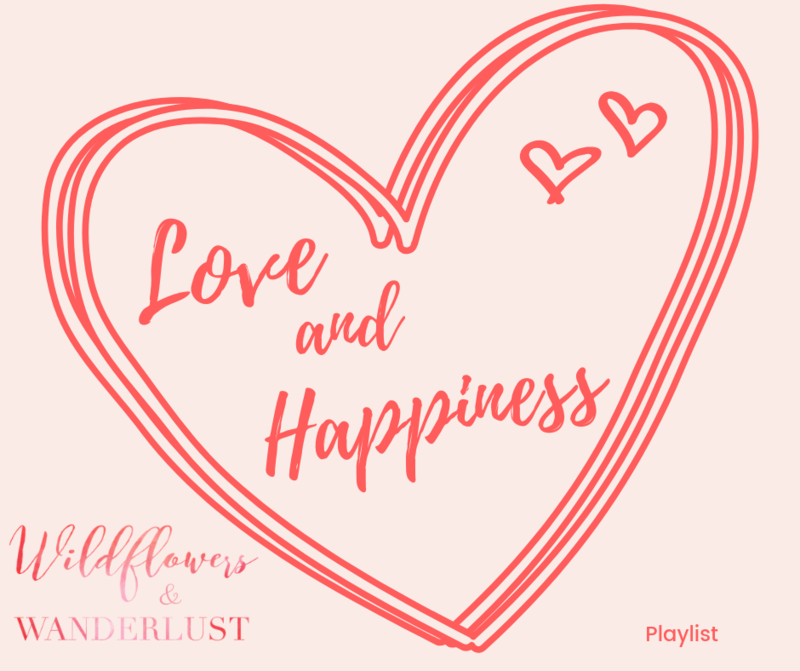 If you’re anything like us you love decorating! And did someone say DIY? 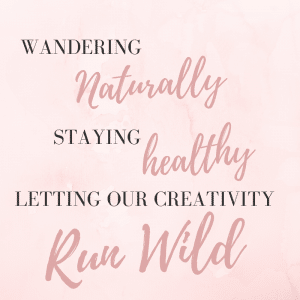 Well that’s what we’re all about – fun crafts and DIY. There’s no need to spend a fortune on decorations, with a little inspiration and some supplies you can turn your home into a winter wonderland. Of course we’re all adding Christmas decor to our homes right now and if you can craft some of that yourselves it’ll save money and make the decor more personal. On top of that, we’ve got great crafts that you can assemble from items you find at the dollar store. So these are not only fantastic, but budget friendly as well. 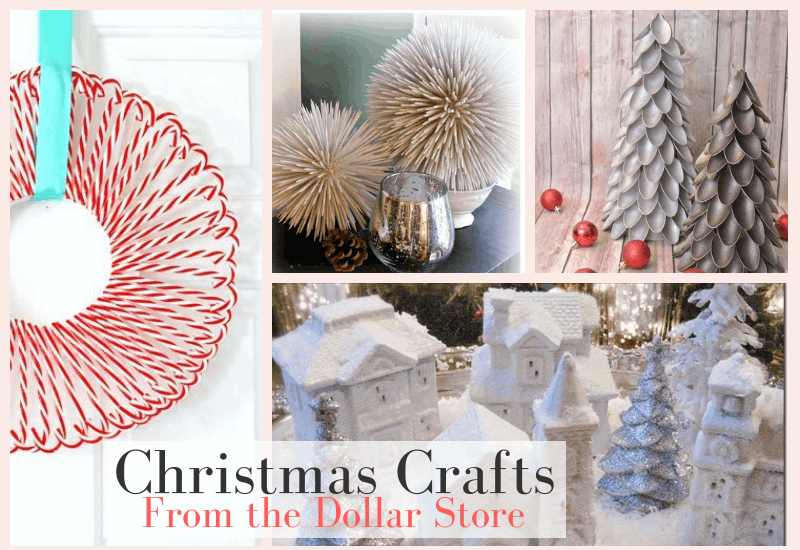 Here we’re sharing our favorite 10 DIY’s for Christmas decorating that you can assemble with items from the Dollar store. You can find all the supplies to make these at the Dollar Store and make one or as many as you’d like. This is a great project for older kids to make and if you leave your toothpicks in their natural color it’s also a great fall decor item. We have already come up with lots of great ideas on how to use these so they’re definitely on the “to try” list! Isn’t this fantastic? We wouldn’t have ever even thought of this and it’s just your basic plastic spoons and a styrofoam form. Of course you can find these items at your local dollar store. 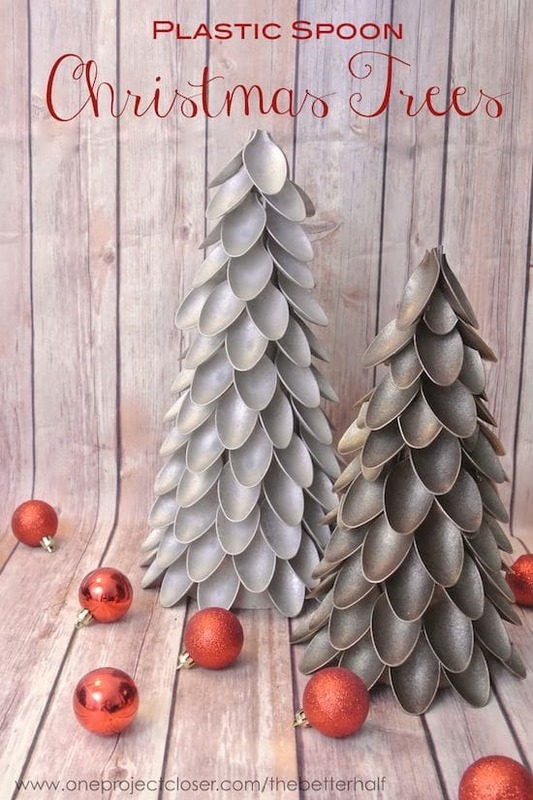 Paint it to match your decor and you’ve got a great Christmas decoration for just a few hours worth of work. These are also a great farmhouse style if you’ve got the right paint colors. Here’s another easy and inexpensive project that you can complete in a few hours. 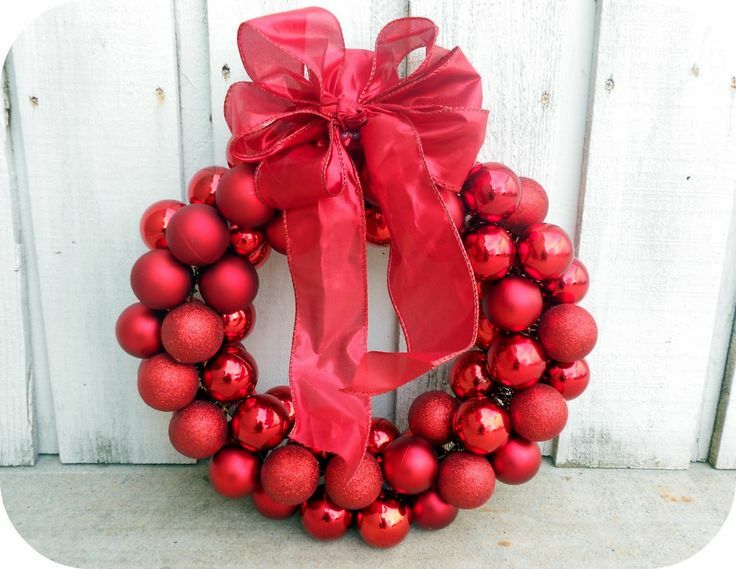 The best part is by choosing your own colors for the wreath you can mix and match for any decor. And of course you can find a great selection of unbreakable ornaments at your local Dollar store. The form on this one is just a wire hanger! These are great for your table or to wrap up and give as small gifts. 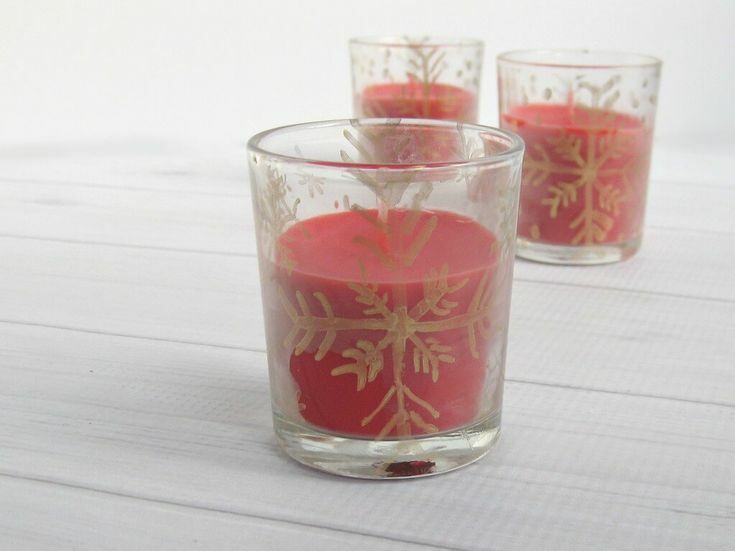 You can use a stencil or free form draw on the votive holders. I also love the idea of placing one on each plate for our guests so that they can take it home for a party favor when they leave! 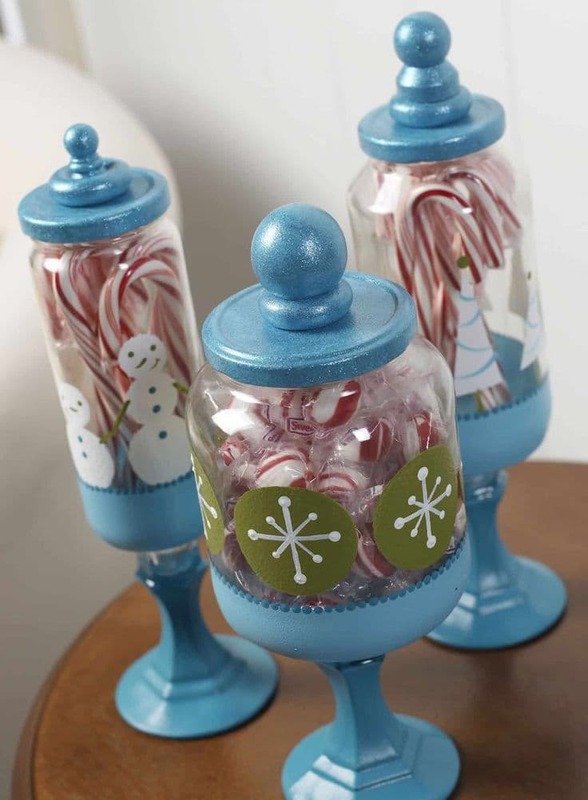 These are made using candlesticks and glass jars that you can find at the dollar store. 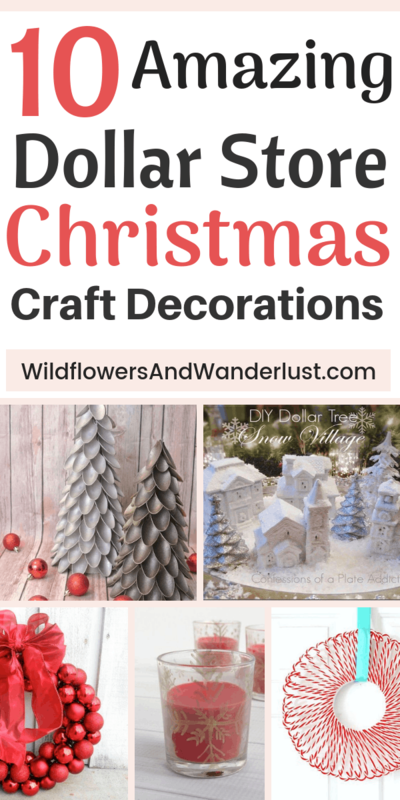 Glue, paint and imagination makes a great holiday centerpiece and you can fill them with ornaments, candy canes or mints to make a statement wherever you place them. 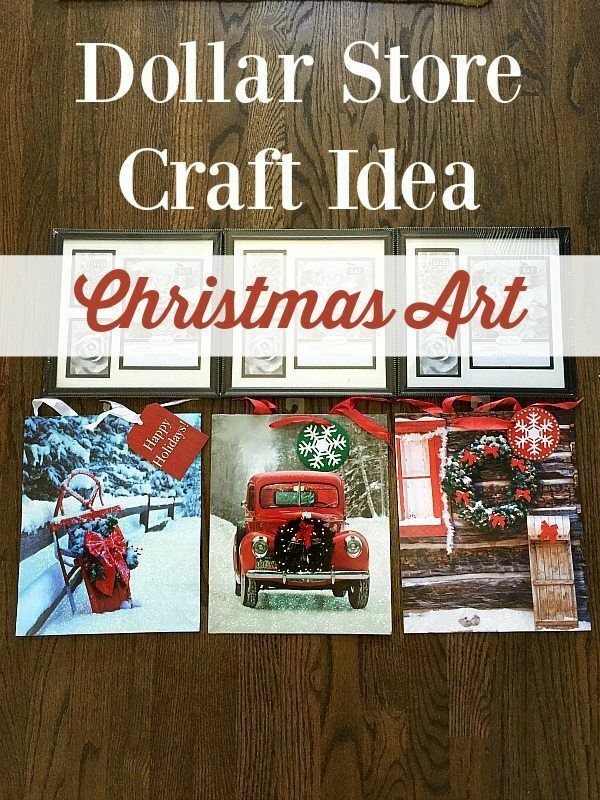 This is another project on our “to try” list because we’d love to see them in different holiday paint colors. This is an ingenious way to make seasonal art using gift bags and frames. You could also use wrapping paper or recycle your old gift bags. All it takes are some frames and some pictures. Creative cutting makes a great wall hanging that you can change from year to year or as your style or colors change. 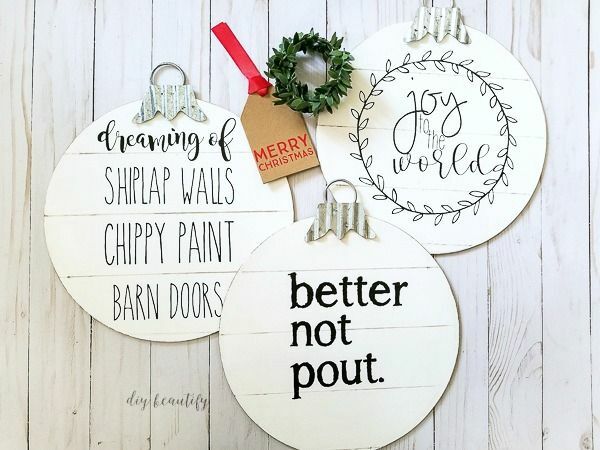 These great shiplap ornaments started off as brightly colored ornaments. With just a bit of paint they were transformed to fit in with farmhouse decor. At just $1 each, you can’t beat them. With a bit of imagination you can transform these into so many different styles. These would also make great gifts. 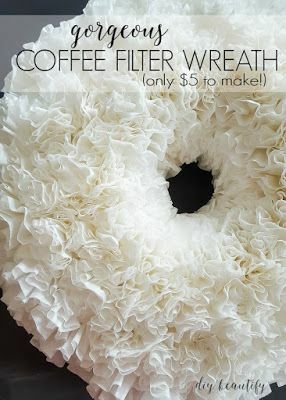 Here’s a beautiful wreath made completely from coffee filters. You know you can get a bunch of them at the dollar store and you can even pick up a wreath form while you’re there. Add some glue and you’ve got yourself a breathtaking door hanging. I can’t believe how full and pretty this is when it’s finished. It takes a little time to put it together but it’s definitely beautiful when it’s all finished. We’ve seen lots of tutorials using real candy canes and it’s not something we’ve ever wanted to try. We were really glad to see this one that uses the slimmer plastic candy canes from the dollar store. This is a different pattern than most of the others that we’ve seen and we definitely love the look! 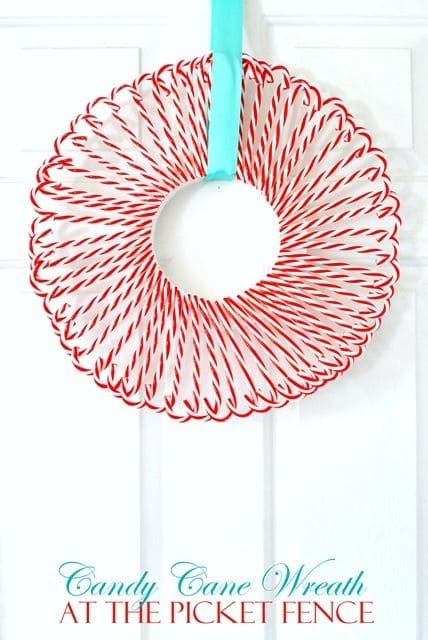 For just a few dollars you can create this brightly colored candy cane wreath for your front door. 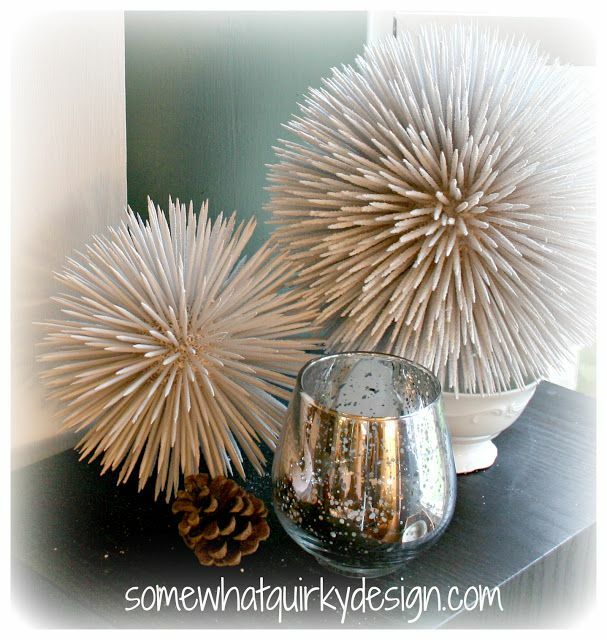 There are lots of creative ways to use items from the dollar store for crafts and home decor. Have you tried any of these projects or do you have other great projects to share with us? We’re always looking for a fun craft or home decor item to craft. Let us know in the comments below! And if you like any of the ideas that we’ve shared be sure to share this with your friends.